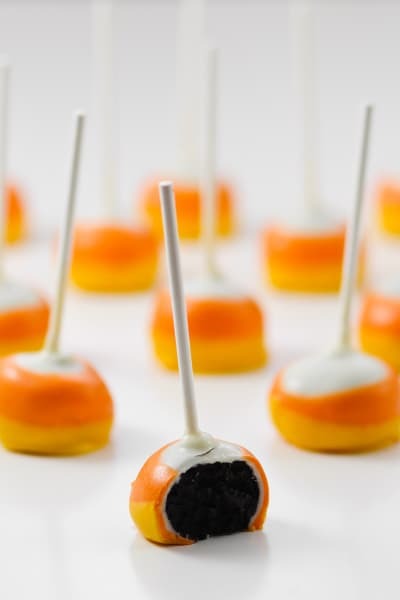 Candy Corn Oreo Pops are a simple no-bake treat that are a hit with any crowd. 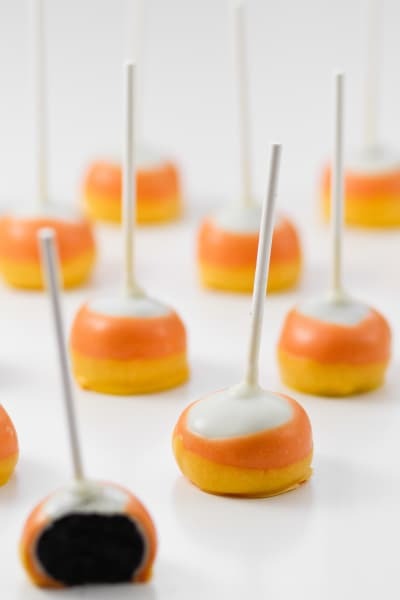 Super easy to make with perfect Candy Corn layers! Have you ever noticed that sometimes the simplest recipes are the best? It’s quite insulting if you really want to know. 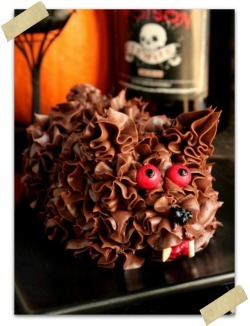 I can spend hours slaving over a complicated and creative dessert but do you want to know what everyone eats first? The ridiculously simple stuff that I whipped up in mere minutes. Rice Krispie treats. Pretzels coated in almond bark. A pan of fudgy brownies made with boxed mix. Is it possible that life really is this simple? Does a sheet cake with canned frosting and sprinkles hold the keys to the universe? I don’t mean to get too deep and philosophical with you guys, but it’s got me thinking. Enter, the famous Oreo truffle. If you’ve never had an Oreo truffle, you’re missing out. Everyone loves them! Of COURSE they do – they’re simply crushed Oreos and cream cheese mixed together, rolled into balls, and coated in melted white or milk chocolate. Three ingredients, no-bake, and this is what’s bringing all the boys to the yard. Life is so weird sometimes. 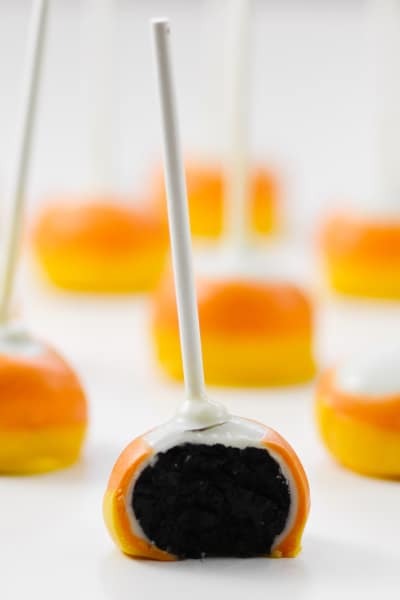 In honor of Halloween, I decided to put these Oreo truffles on a stick! 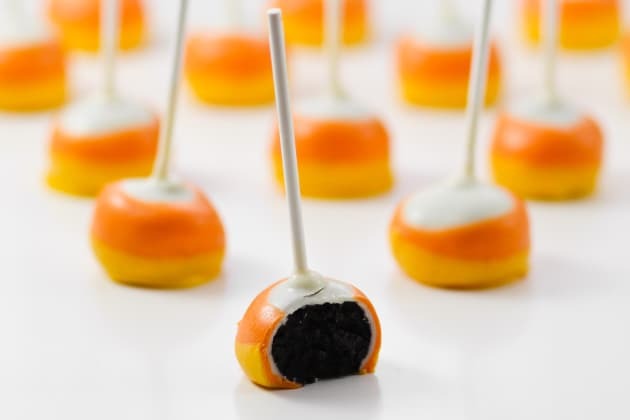 Something about a stick just makes everything better, and these candy corn Oreo pops are no exception. A triple dip in white, orange and yellow candy gives them a bright and festive look that is perfect for a party tray or gifting to your favorite teachers or neighbors. 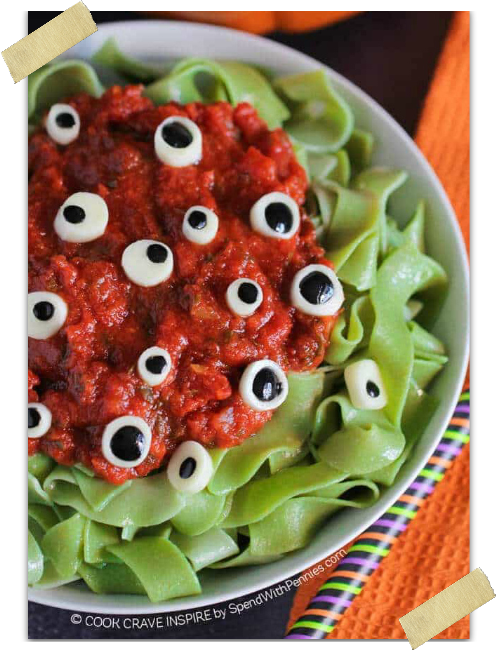 They’ll all ask for the recipe, of course. And while this isn’t necessarily your culinary moment to shine, rest assured that these will be the first thing to disappear from the party platter. I barely had these babies dipped before my children descended upon me, practically foaming at the mouth. Kids are frightening sometimes, aren’t they? I hope you love these as much as we did. 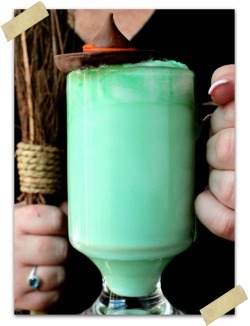 They’re a great last minute treat to have in your arsenal. Post and Recipe reposted with permission from Food Fanatic and was created by Kristan of Confessions of a Cookbook Queen! 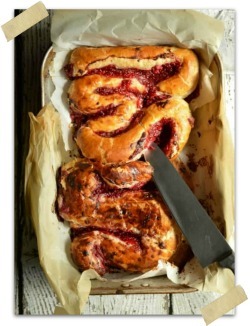 Kristan blogs at Confessions of a Cookbook Queen! 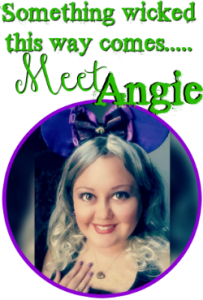 She is a mom, housewife, cookbook queen, and lover of all things sweet, pink, and sparkly! She believes in cake mix, heavy eyeshadow, and sarcasm as a second language.